Have you ever thought about what lasagna is? We’ve all eaten it. It’s considered one of favorite pasta meals of all time. But what’s it all about? It’s one of the ultimate one-pot meals — whether you’re cooking for a potluck or just the family dinner, it’s hard to go wrong with lasagna. 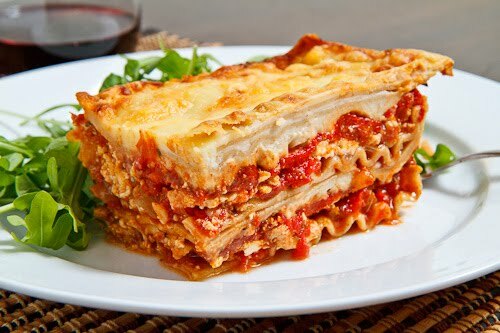 It’s layers of vegetables, sauce, cheese(s), and sometimes meat, sandwiched between sheets of pasta. Lasagna makes for a dish that’s just as fun to eat as it is to make. Diet food this is not. It’s pretty hard to mess up lasagna, but there are a few things to keep in mind. First of all, using those fancy no-boil noodles may not be the best idea. Results vary by brand. That said, however, I never boil my noodles. I use just the regular lasagna noodle, but I always increase the amount of my sauce so that the noodles have plenty to soak up. I usually prep my lasagna the night before, as well. This also allows the noodles to soften as they spend the night in the sauce during refrigeration. But whatever type of noodle you use, be sure you don’t skimp on the sauce between each layer. Make sure there’s plenty of sauce and make sure to cover every square inch. Otherwise, you’ll end up with cracker-crunchy spots and ends, and that just isn't enjoyable (not to mention, indigestible). And speaking of sauce, here’s another tip: Start with a layer of sauce on the bottom of the dish to keep the whole thing from sticking. Then there are the veggies that are generally added to this dish. If you decide to include them, be sure to use fresh, not frozen. Fresh vegetables offer a greater depth of flavor. And a veggie tip: If you are making a lasagna that includes meat, then brown the meat in a skillet first and then add in your prepped veggies. They’ll pick up another layer of flavor from the seared meat. There’s not much else to it really. The sky (or perhaps, the height of your baking dish) is the limit, so let your imagination run wild. Now speaking of imagination, that takes me to the point of why I asked the question above, “What is lasagna; what’s it all about?” It’s a one pot layered pasta dish. It’s about the layers. So that said, that’s where the imagination comes in. If you can imagine flavor combinations that compliment well, then simply layer them between lasagna noodles and you have a lasagna. Who says lasagna HAS to be made with ground beef and/or sausage and marinara sauce? 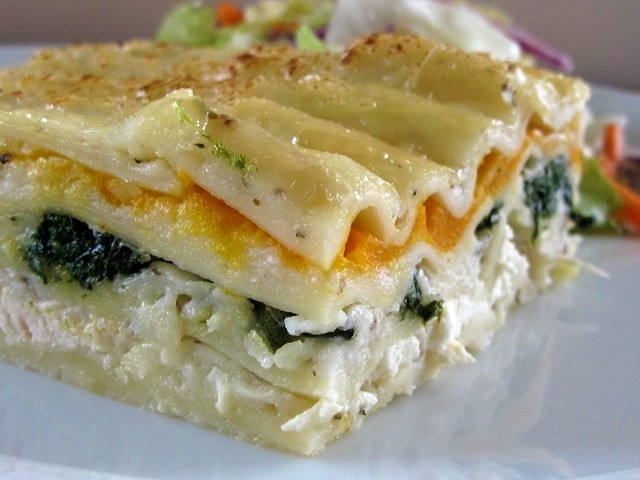 Why not a lasagna made with chicken, squash, and sage, for instance? 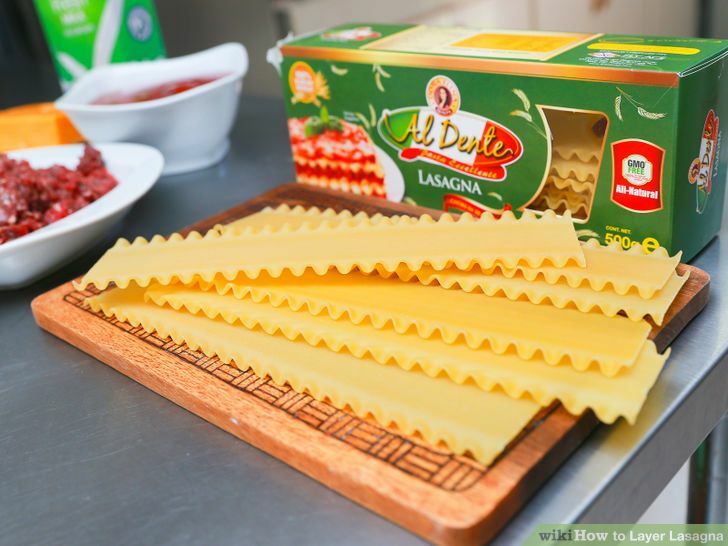 These flavors blend well and also work nicely with the flavor of the lasagna noodle. This is a delicious dish that will win raves. This recipe could become a family favorite. It’s nice to break out of the box once in awhile, and the lasagna box is a good place to start! So give this different take on lasagna a try. Lasagna made with chicken, squash, and sage? Why not? Warm, cheesy and boasting a filling of chicken and various vegetables, one taste and Food Network’s chef, Anna Olson, says we'll be hooked. 1. Preheat the oven to 375 F. Lightly grease an 8-cup casserole dish that fits a single lasagna sheet nicely. 2. In a large sauté pan over medium heat add the oil and onion and sauté until the onion is translucent, about 5 minutes. Add the garlic and sauté one minute more. Add the chicken stock and then stir in the squash and sage and bring to a simmer, cooking loosely covered until the squash is tender (about 12 minutes for fresh, and 6 minutes for frozen. Stir in the chicken and sundried tomatoes. Remove this from the heat and stir in the ricotta and milk. Season to taste. 3. 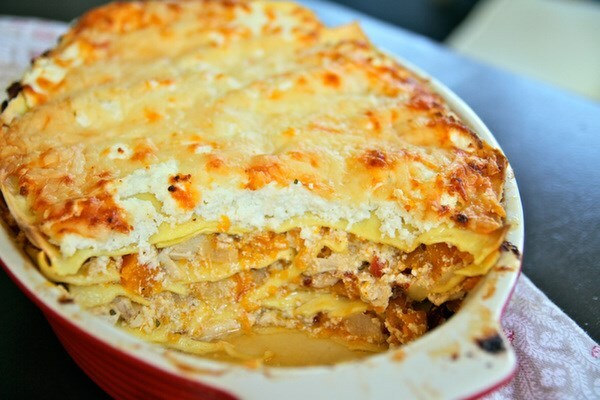 To assemble, spoon a little of the chicken filling at the bottom of the prepared dish and place a sheet of lasagna on top. Spoon a generous layer of the chicken filling over this and top with a sprinkling Asiago. Top this with a lasagna sheet and repeat with the chicken filling and Asiago three more times, ending with a generous layer of Asiago on top. 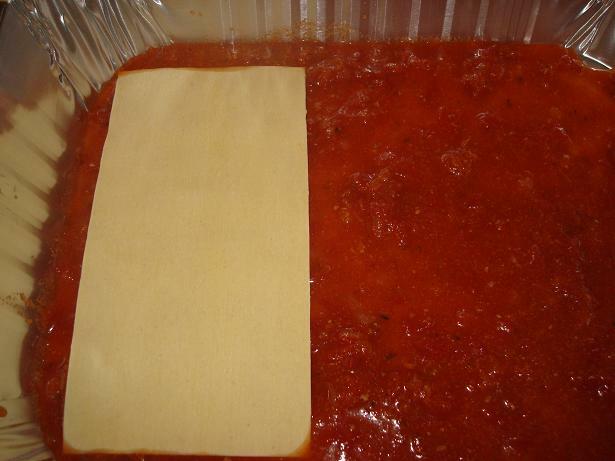 Place a sheet of parchment over the lasagna and cover with foil. Bake covered for 30 minutes, then uncover and bake an additional 35 to 45 minutes, until the top is golden and melted and the filling is bubbling around the sides. Let the lasagna cool for 10 minutes before scooping or slicing to serve. 4. Additionally the lasagna can be assembled a day ahead and chilled, but add another 15 to 20 minutes of baking while it is covered.